NEANA Spring Meeting Registration Now Open! 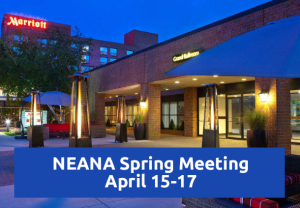 The New England Assembly of Nurse Anesthetists will hold its annual Spring Meeting on April 15-17 at the Boston Burlington Marriott in Burlington, MA! This is an action-packed 3-day event that will feature some of the nation’s leading instructors, trending course topics, and an opportunity to earn 20 continuing education credits. This is also a great opportunity to network with your peers throughout the New England area. Registration is now open! Click here for more information.